As an ecologist, my father has alway been obsessed with bird watching. When I was young, we travelled a lot in Europe with his job. We would be driving on narrow switchback roads in the Alps, and my father (the driver) would stop watching the road and say “Look! A bird!! !” And then he would try to figure out what it was while he swerved back toward the center of his lane. My mother was constantly terrified that she would personally learn the details of Grace Kelly’s tragic death and I thought my dad was a nut job. My Child Will NOT Enjoy Bird Watching…I’m Sure of It. Children love crafts – this one will encourage the birds to come visit! But are you really sure your children won’t like bird watching? Children are capable of so much more than we give them credit for and their minds are open and excited to try new things!! What’s more fun than going on a treasure hunt or an adventure? Do your children love pirates? Go on a hunt for the lost pirate parrot! Will you find the parrot? How will you know if the bird you find is a parrot or not? That’s what bird watching is all about – the treasure hunt! They never know what they will find, if it will be new or a bird they already know, or they might need to do some research with mom or dad when they come home to figure out what bird they saw. If they want, they can always draw or paint pictures of the birds they saw, search for feathers or bird nests… The possibilities are endless! Children can craft bird houses and bird feeders. Most home improvement stores have kits to build a bird house. And many have weekend programs for little ones to attend and make a feeder while they are there! 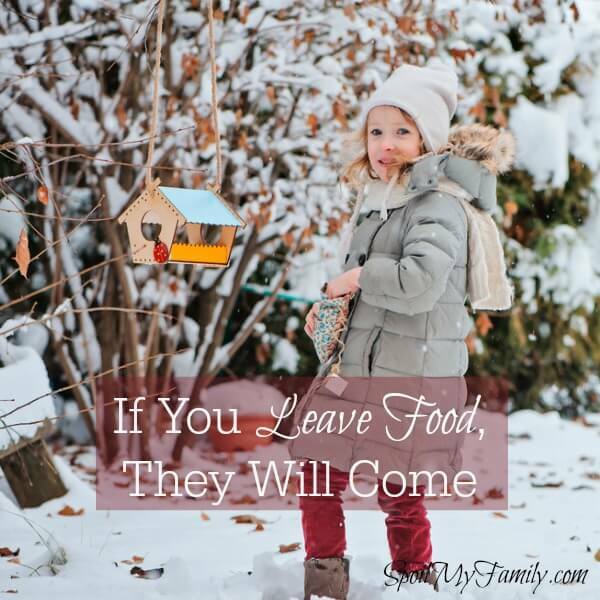 Children can put gross and fine motor skills to work building houses, feeders, or bird baths. Here’s an oldie but a goodie: fine a pine cone. Tie a piece of string or yarn around the top. Spread peanut butter all over the pine cone and then roll it in bird seed. 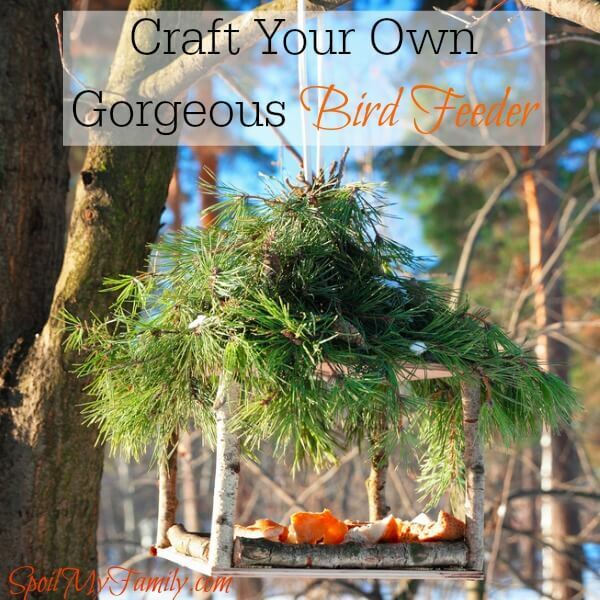 Tie your “feeder” to a tree and watch the birds flock around! 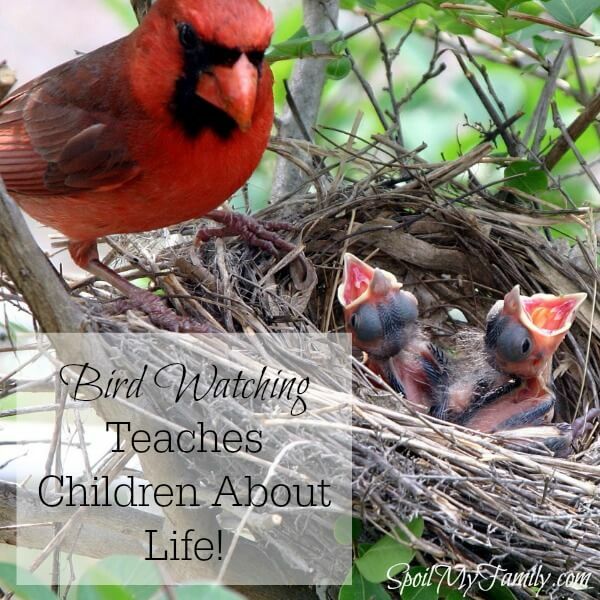 What Will My Children Learn from Bird Watching? Diversity: Each bird has its own niche and coexists with other birds and animals in the same habitat. Children learn that everyone can contribute to their family and their community in a unique and meaningful way. Environmental Responsibility: Children who are taught about birding and who enjoy birding will grow into adults that care deeply about our environment. They may also choose to become involved in youth programs aimed at conservation. Geography: Birds are found on every continent on earth. Most species migrate (seasonal movement). Adaptation: Birds in different locations all have different and specific adaptations that they have made to thrive in their environment. Flight: Animals that fly are naturally intriguing. Bird watching will teach children that different birds fly in different ways. Some catch wind currents and soar gracefully, while others dip and dive, while still others like the hummingbirds have such rapid wingbeats that they look more like insects. Watching birds can help children begin to understand the mechanics of flight. They can also examine the benefits of different methods of flight. 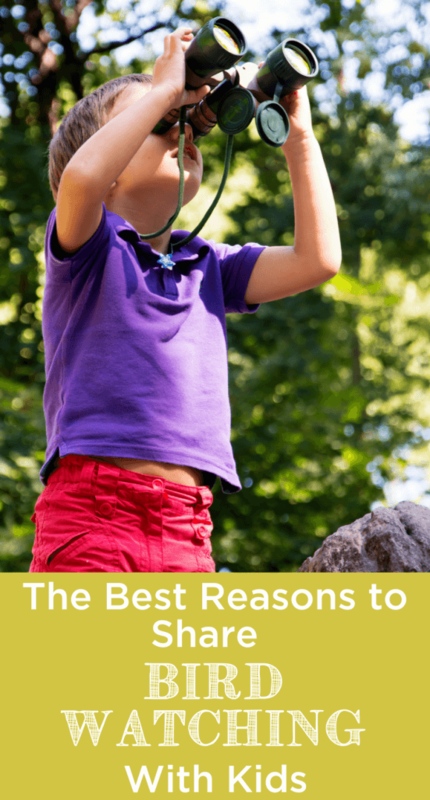 Why Should I Introduce My Children to Bird Watching? This is a video of an osprey fishing. It’s what my son and I were lucky enough to witness from the beach. Seeing something like this and understanding what is happening is truly an awe-inspiring experience. How Do We Start Bird Watching? Children love caring for creatures. And you don’t even have to get a kitten! Just step outside! That’s all you have to do to start. You don’t need any fancy equipment or skills. As you begin to see a few birds, you can do more and more to encourage them to come to your yard. Birds need shelter, water, food, and a place to raise their families, so if you provide those four things – they will come. Researching favorite treats for various species can help you attract that bird that you’ve just been waiting to find. Try to place feeders close enough to windows that you can enjoy the show the birds will put on for you. That’s really all you need to get started. I have some other, more specific, suggestions for you at the bottom of this post. If you want a great app for identifying more common birds, the Audubon Society has a free app that you can download! At the end of the day, I need to spoil my children with “luxuries” such as bird watching because they are so enriching for children and adults alike. Children learn so many things from being outdoors and witnessing nature. But I also think that the enjoyment my boys get from birding is something that their grandfather and I teach. It’s something that Grandpa, uniquely, can pass down to them for a lifetime. It’s passed down for them to enjoy during their lifetime going forward and as a tradition with their grandfather that reaches back into the past. I really enjoy sharing our family traditions and hearing about yours! Over 25 bloggers have gotten together this month to share their favorite ways to Learn Through Adventure with their children. 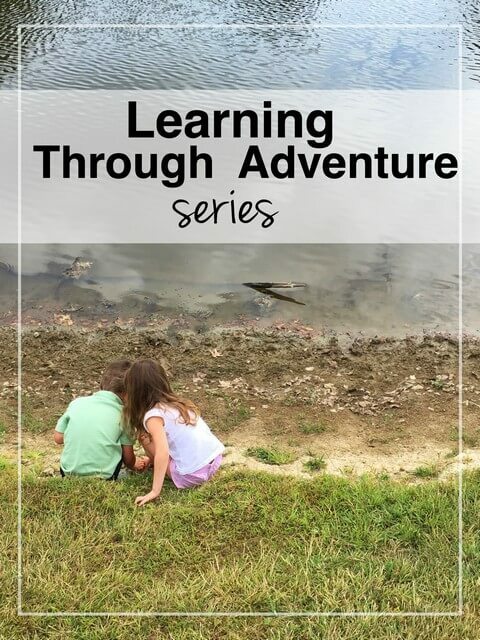 There will be 30 new posts about learning through adventure with children. Hop over to Bambini Travel each day to see the most recent post! What amazing childhood experiences you had! My kids have enjoyed bird watching this year. Even just in our backyard we have some different species. Woodpeckers are their favorites. Thank you so much for sharing in the Learning Thru Adventure hop! Karen I can honestly say I would have never thought about bird watching for my girls. I never thought about it even being fun! But I love all of your points about the fun and educational aspects of it…thank you for a totally new perspective! I used to do a bit of bird watching as a kid with my grandfather and I have very fond memories of it. It’s a great way for kids to learn something new! Thanks so much for linking up this post over at #TheHappyHomeLife linky party! It seems a little nerdy, maybe it is, but we really enjoy it as a family activity. We all enjoy being outside and it gives us something to search for and learn about. It’s been a really fun experience! We love birdwatching! There is a set of cardinals who live in our yard in the winter and we had a mama and baby hawks stay with us this Spring (we were able to observe the mother teaching the babies to fly!) I can remember sitting near the window for hours when my kids were young and watching the birds come to the feeder. I LOVE your bird feeder too! We love bird watching; my son has two bird feeders that are suction cupped to his bedroom windows. It has been so much fun watching to see which ones come to visit! We just recently bought a birdhouse that suction cups to windows as well and have plans to get a hummingbird feeder this spring. Wow, I never took into account that kids can also go bird watching with us. I love that you emphasized how birding can benefit a child mentally and physically. Like you said, they will have a love for learning and will be fit due to hiking. This just gave me the idea on what to do with them this summer. Actually, my kids are adventure seekers. They would probably love going into the woods and looking for birds. Thanks for the information! Yay!!! Enjoy! I love that you can literally look for birds anywhere!! !